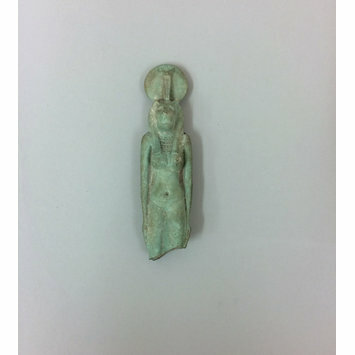 In ancient Egypt, Sekhmet was the goddess of war but also healing. Her associated animal was the lion, and so depictions of Sekhmet typically portray her as a human female with a lion's head. 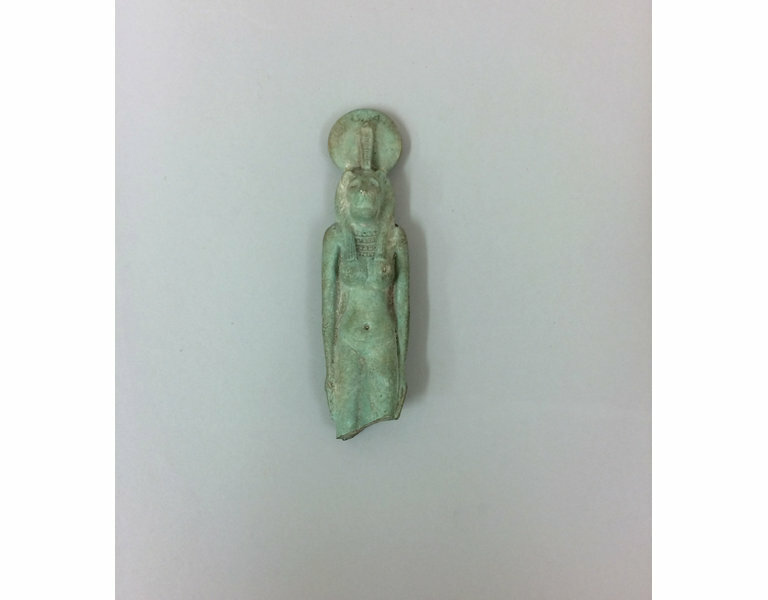 Sekhmet was also considered a solar deity, and so the solar disk was also often depicted as one of her attributes. 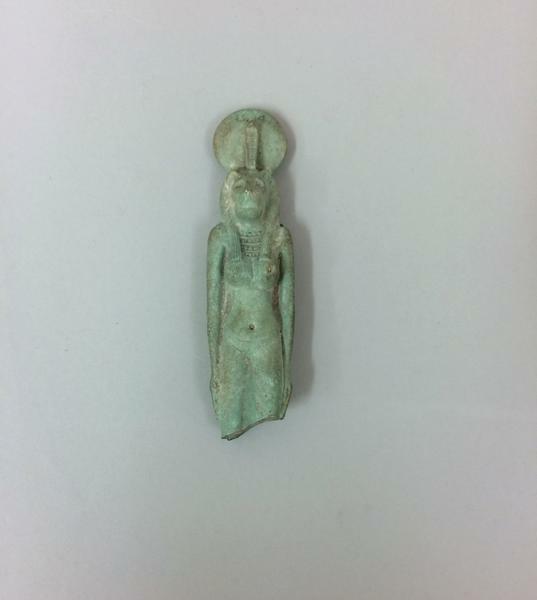 Top half of a green glazed composition figurine or amulet of the Goddes Sekhmet. She is depicted as a striding human figure with a lion's head, surmounted by a large sun-disk with a uraeus cobra. The figure has a moulded dorsal pillar. This object originally formed part of the Ceramics collection at the Museum of Practical Geology, on Jermyn Street, which was transferred en masse to the Victoria and Albert Museum in 1901.